As a start-up business owner, you need to use the available tools to kick start your business venture in an effective manner. Among the tools, smartphone applications have made it possible to keep everything organized within your pocket. 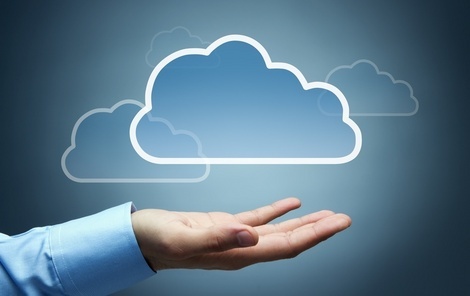 Here are some apps for start-up businesses that owners can use in 2013. There might be an instance when you’re discussing an idea in your new office with the current staff and got late. You may need to work on it at home, but forgot the flash drive in the office. The Workshare app can be useful in this case, allowing you and the staff members to synchronize data between any smartphone and the Workshare Platform. The app also sends real-time notifications to file updates and comments to all parties using the app irrespective of the location. The app works with iPhone and the iPad. Want to save some money? You would love to as a start-up business owner. Keeping the expenses down wherever possible is a top priority. 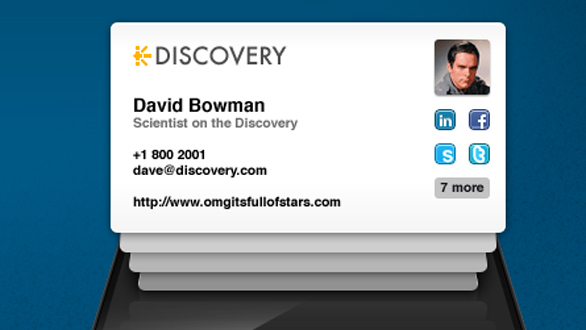 CardCloud is a business card creative that acts as a replacement for the traditional business card. The people you give out the card to will automatically have the business information stored on their phones, and you won’t have to feel guilty if you forget your business card. The best thing is thing is other people don’t need the app themselves to receive your business card. CardCloud is compatible with Android and iOS smartphones. If you want prospective clients, employees and customers to engage with the content related to your start-up, the DoubleDutch Events app may just provide the idle solution. There is a high level of security provided by this app so you don’t have to worry about the data being leaked. It’s more of a conference/event management app and also works as an interactive social network. Some of the features include outbound publishing, two-way schedule sync, interactive maps, integration with event registration systems and offline mode. The app works on the iOS, Android and HTML5 platform. 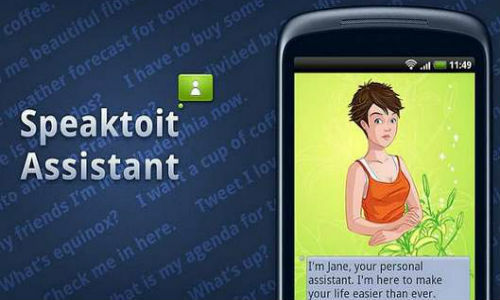 Speaktoit was declared as a nominee among the top ten Apps of the Year in 2012 by New York Times. It’s a voice-enabled virtual assistant. The developers are adding new features in 2013 which would come in handy for start-up business owners. Among the new features, there will be meeting/calendar scheduling, which will allow you to schedule a meeting or an event with your voice. The app is going to remind you about the meeting or event on the given day by speaking to them. The app also works smart by reminding you to book hotels and flights if you’ve a meeting in another city or state. The developers will also be joining hands with financial news services to provide the latest updates on market news and quotes. Speaktoit is compatible with iOS, Windows and Android. This app may allow you to manage your time in the most efficient manner. As a start-up business owner, you would know the importance of efficient time management, and 30/30 will help you along the way. You would be able to assign a length of time to each task to get them done. The app also notifies you when to move on to the next task. This is useful because when running a start-up, you’re wearing multiple hats and can easily get off track or spend more than the required time on specific tasks. 30/30 works with iPhone and the iPad. These apps will allow you to save a lot of time as you start a new business in 2013 You won’t need to rely on traditional tools as most of the things you need would stay in your pocket.